The prompt about books that helped during and with the grieving process took me back to the days and weeks after Georgie died. I couldn’t sleep for more that 2-3 hours at a time so I downloaded and read a lot on my Kindle. The first book I read after Georgie died was Sunshine after the Storm, “a collection written by mothers finding their way after the loss of a baby and child”. It was the perfect book for me, as a freshly grieved parent. The book is, as the subtitle says it, a collection of recounts and advice from bereaved parents with varied backgrounds, of various religious and with various belief systems. The book helped me understand that grieving is a very personal process, as personal as our individuality and gave me permission to grieve as I felt necessary. The book I read next would seem odd for a mother who had just lost her baby to cancer, but I needed to understand. To understand cancer from the patient’s perspective. Georgie was too small to talk and our communication had been entirely non-verbal. But I needed to see cancer expressed in writing. The Fault in Our Stars was, paradoxically, a book that gave me peace. Partially answered some of my questions. But most of all, helped me understand that losing a child is unbearable, no matter what age they are. Even if we had been given more time to enjoy Georgie, the devastation would have been equally painful, no matter what the age he would have suffered at. I can’t even remember how I came across the Atlas Girl. It was again, a story about cancer, incurable cancer, that inexplicably got healed and with it a whole family and their intricate relationships got mended. It taught me a lot about pain. About love. And it gave me the idea of having a “love account” as we called it with Alex, a separate account from where we can take money when we see a need and want to bless people. Under the Rainbow was written by Catherine Campbell, Northern Irish author, mother of two severely disabled daughters who were among the first inpatients that the Children’s Hospice in Northern Ireland ever had. I found her story touching, her love for her daughters humbling and her example of dedication an example. I do believe all these books found their way to me for a reason so soon after Georgie died. 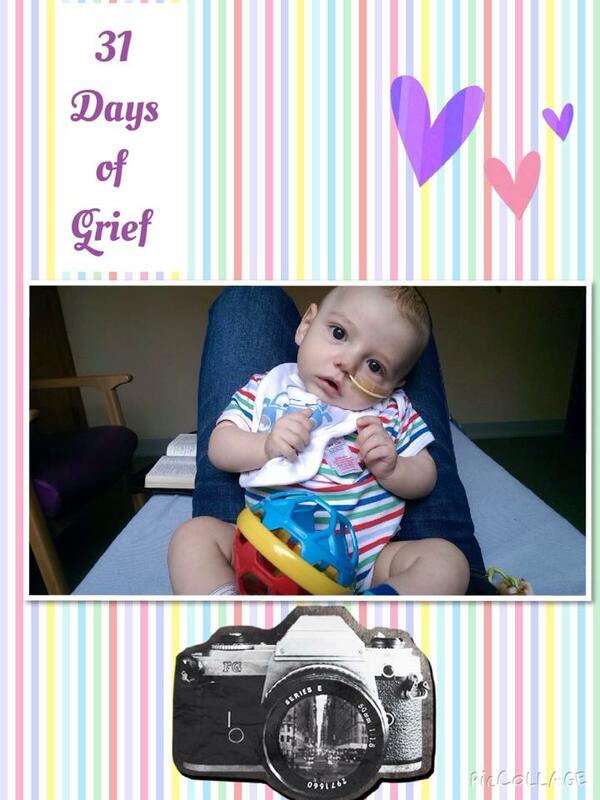 I would recommend them all to bereaved parents and parents struggling to make sense of pain and tragedy. 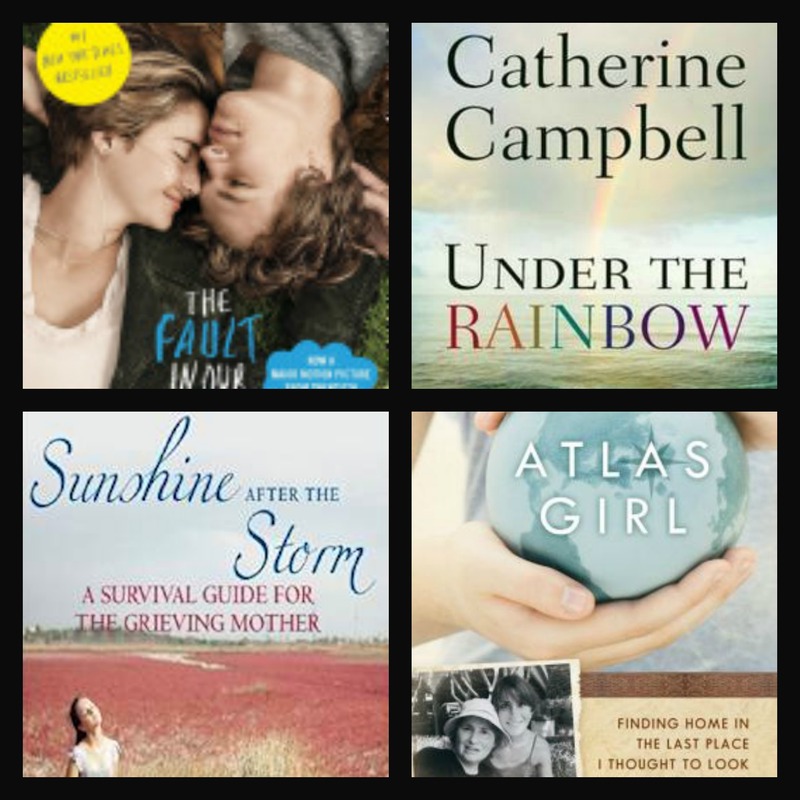 The Fault in Our Stars, Atlas Girl, Sunshine after the Storm, Under the Rainbow.